TALLERES BAUTISTA SANTILLANA is a company dedicated to the manufacture and sale of agricultural equipment since 15 years. We are specialist of olive vibrators, our vibrators have been awarded in the fair Expoliva 2013 (International oil fair and related industries) with the second prize for the technical innovation. This award comes by the new vibration system “Variomatic*”, this system is manufactured and patented by the own company and recently installed in the new gamma of vibrators. This recognition rewards the effort made in investigation and development of systems that improve the olive harvest, this system joins to the list of systems that we have patented in the company. The work carried out in R&D means the differentiation respect the rest of the direct competitors, letting see in our machines the constant technical renovation apply to the same. 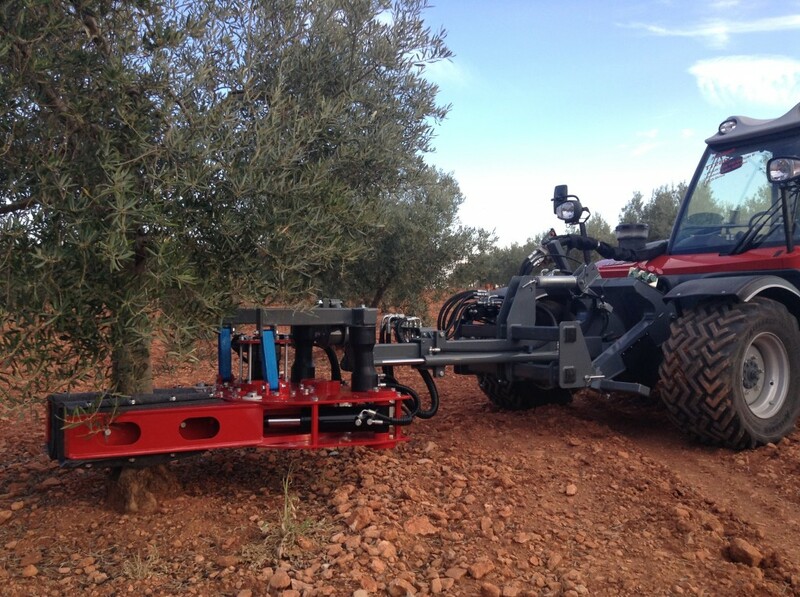 We offer solutions as he possibility of use biodegradable oil for the hydraulic circuit, thus we avoid the contamination of the own olive with a hose rupture, because the care with environment is part of our values. Please contact us without obligation, we will give budgets and solutions to your problems. *System of variable vibration, whereby the possibility of varying the vibration head is automated, so adapting to all types of plantations, from saplings to large diameter trees. For reference, 30 years ago to the present, the method of vibration of all vibrators has not change, until the arrival of our system thought which for the first time in the world can perform vibration of tree with a counterweight variable amplitude.